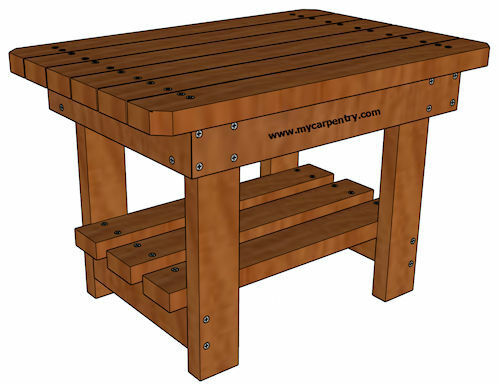 These free picnic table plans are fairly common picnic table designs that you can easily build yourself. 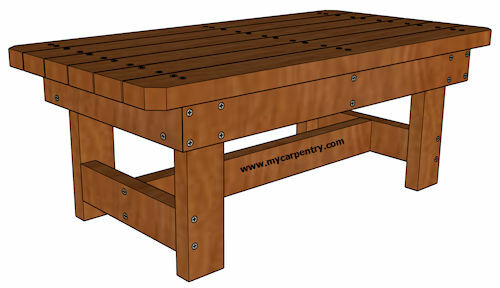 They can be built in single day and will provide many years of service to your backyard barbeques, parties and picnics. These plans provide all of the information that you need to completely build each picnic table from the ground up. They provide a complete material list and step by step instructions on how to cut and assemble each piece. When building any of these picnic table designs you can use any species of lumber that you want, but your picnic table will last longer if you use wood that is resistant to decay, such as western red cedar, redwood, or treated pine. Treated pine will probably last the longest, but cedar and redwood are also quite durable. Western red cedar and redwood are excellent choices for picnic table wood because of their natural resistance to decay. They will last even longer if you seal the wood with a stain/sealer that is made for your species of wood. I built a cedar patio cover, sealed/stained it, and after 10 years it looks just like the day I built it. I also built an end table and coffee table for my patio from the leftover cedar, stained/sealed them both, and they too still look like the day I built them. Note that sealing the wood with a stain/sealer will make the wood darker. The more sealer you apply, the darker the wood becomes. After building my wood outdoor furniture, I apply one good coat of sealer, then after a month or two, apply another coat. After a year, I apply another coat. Generally, you can tell when you need to apply more sealer - the sun bleaches the color and dries out the wood. When I see this start to happen, I know it's time to add another coat. Treated pine is my lumber of choice for deck framing since it is very resistant to decay, but it can also a good choice for picnic tables for the same reason, that is, if your picnic table will be spending most of its time outdoors. If you choose treated pine, make sure it is treated with an arsenic free method suitable for picnic table use. Since chemicals are used to treat pine, I also recommend using a plastic table cloth so that you aren't eating directly off of the table. You can also use a combination of treated pine and cedar or redwood for your picnic table projects. You can use the pine for the legs and structure of the table, then use cedar for the table top and benches. While your in the mood to build wood outdoor furniture, have a look at these two easy projects. They make a nice addition to a patio or deck. The completely free plans are available on this site!